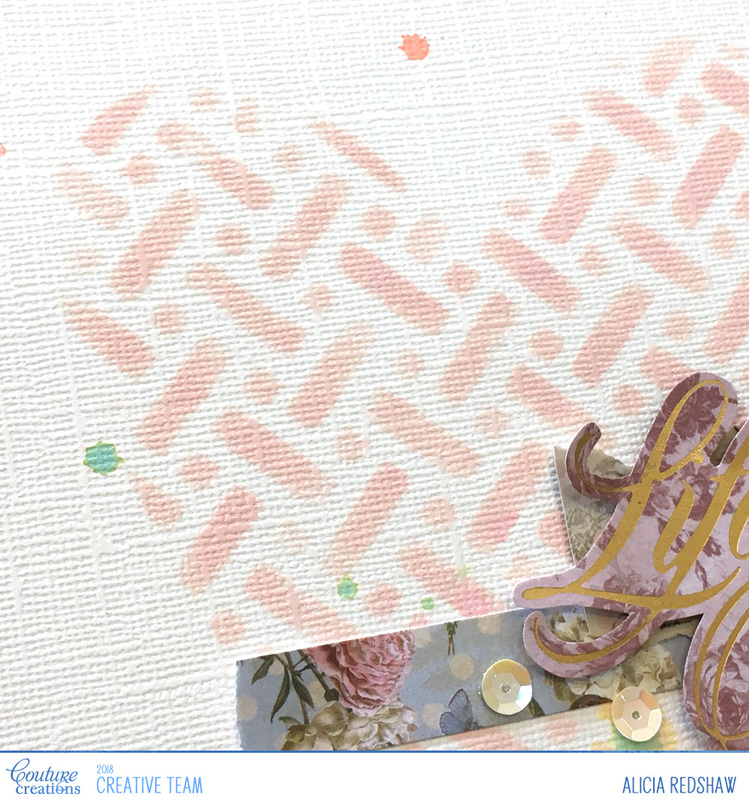 Hi Everyone, and welcome to my post today which is a layout I have created with the Couture Creations C’est la Vie collection. I have kept the layout very simple and mostly used scraps from other layouts and cards I have created with this collection. 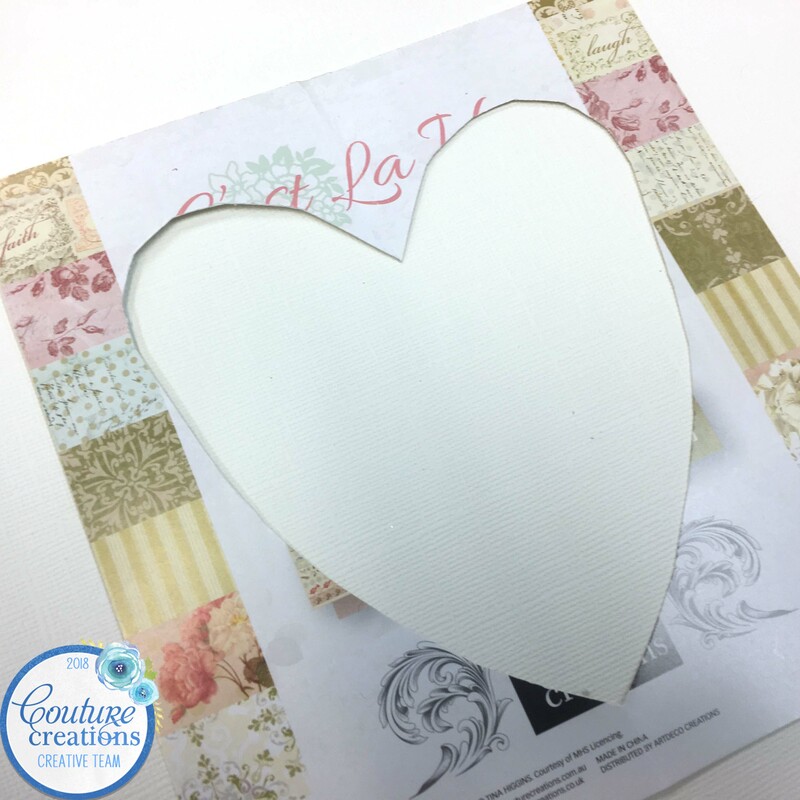 I started my layout by freehand cutting a heart template from the cover of the 6″x6″ paper pad from the C’est la Vie collection. 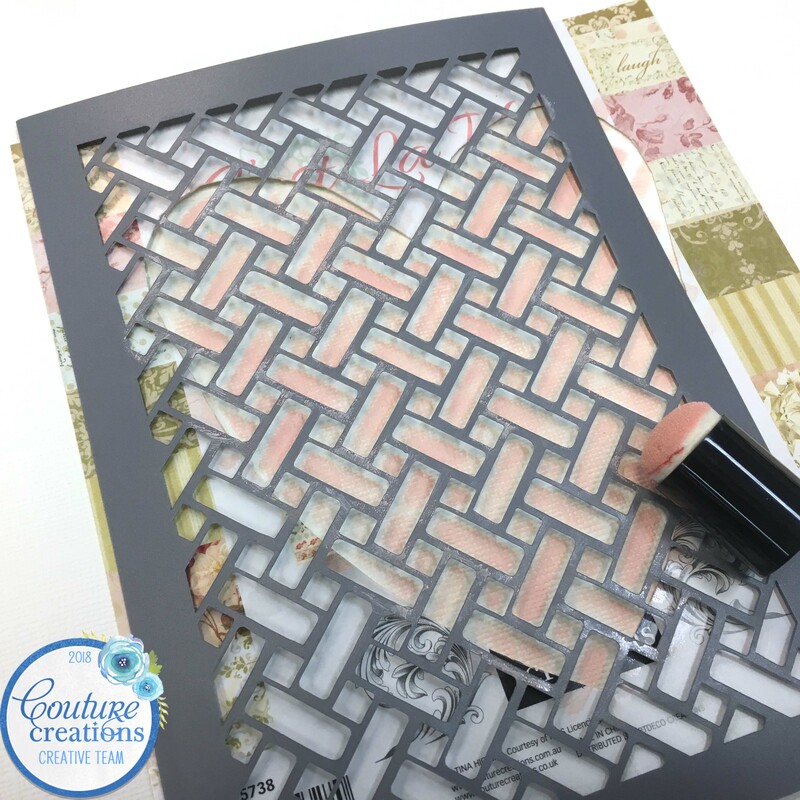 The cardstock that the cover is made from is thicker and glossier than other cardstocks, making it perfect for creating a template that will last for many uses and wet media products. I then used Tim Holtz Tattered Rose Distress Oxide ink with a sponge dauber and the Intertwined Stencil over the handmade heart template. 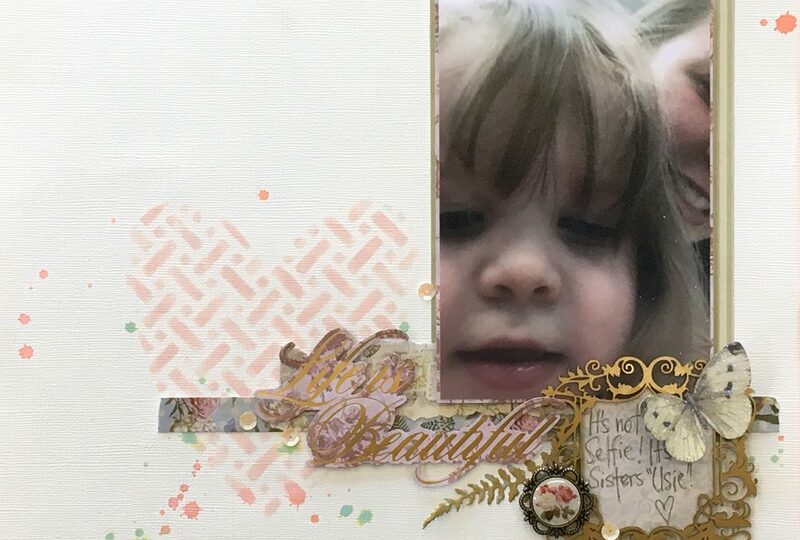 I love how this technique creates a heart in the background that supports the other layout elements without stealing the show from the photograph and journaling. 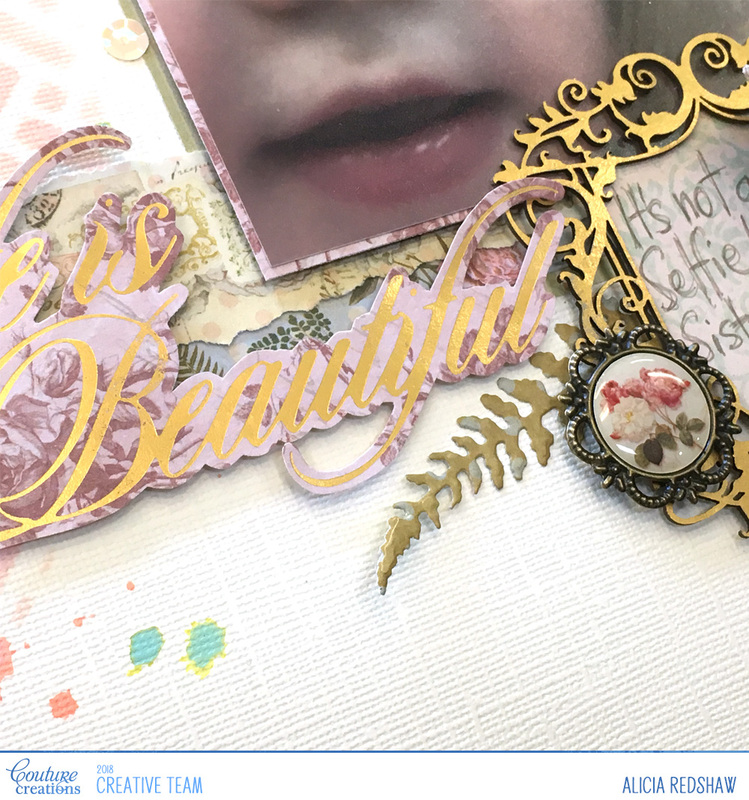 To finish my layout I created a layered photo-mat from patterned papers and a journaling block with Hot Foiled Chipboard and a patterned paper scrap. A select few simple embellishments completed the layered look of the layout without adding unnecessary clutter and fuss. I applied Dimensional Magic to the fussy-cut Butterfly which I then sprinkled it with Opal White Glitter that I love to use in most of my projects. 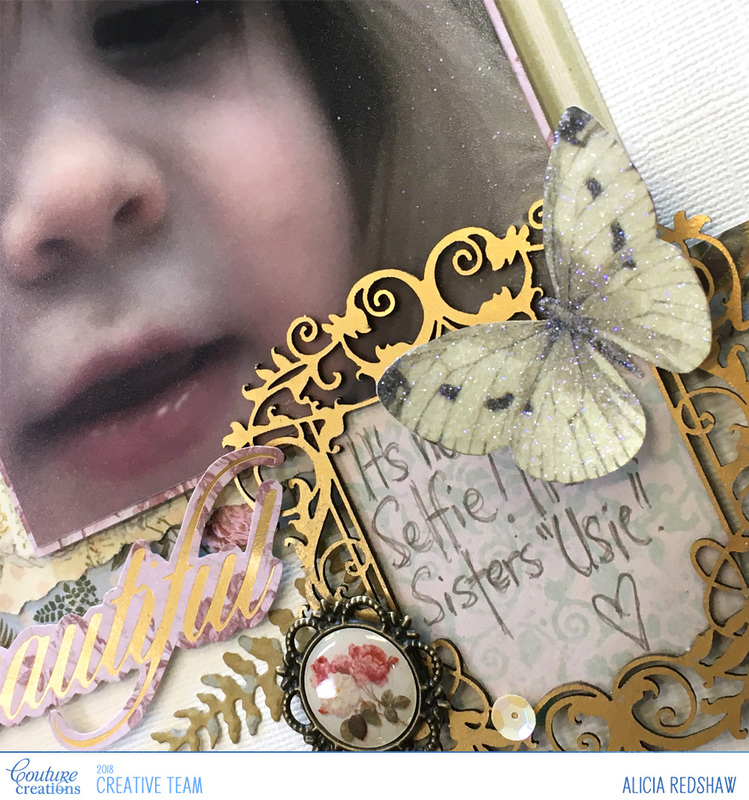 I actually don’t think I have a single butterfly left in either of my C’est la Vie paper pads as they are a beautiful way to finish a layout or card.